Naughty Mom Tips To Make This Holiday Season Different - I Am Proud Of My Kids! Christmas with a newborn in the family is always extra special for moms. At the same time, it is the most “fast and furious” time of the year. You fall right in the middle of the thousands of sleepless nights, the excitement and confusion, and the really short fun days not to mention that is your duty to ensure that everyone keeps to their fill to maintain the enthusiasm. 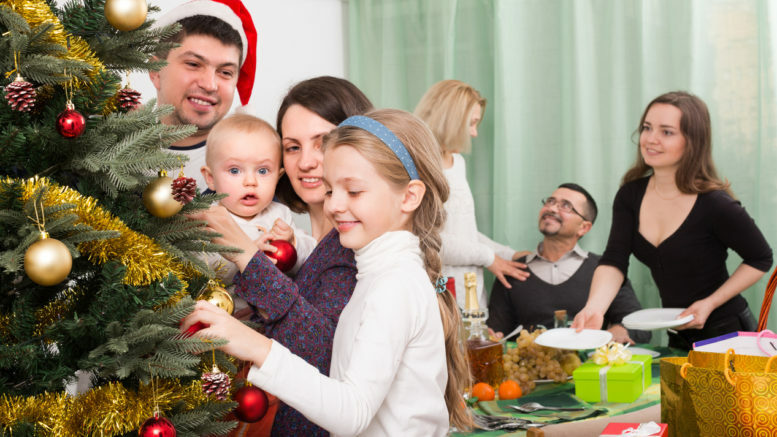 Living too big during the holidays will leave you financially frustrated when they are over. Plan a low budget as much as possible. Go big on the necessaries, but keep it low-key where possible. Moms focus more on entertaining their kids or friends that they forget about themselves. Be flexible enough to the extent that you can do dinner at lunch hour, two birds with one stone huh? Even when you feel drowsy when you have a full house, go right ahead and take a nap. Everyone will fend for themselves when they don’t see you around. You deserve better than to play by the rules, time to do whatever the hell you want! Moms nearly spend the entire Christmas in the kitchen. Asking for help doesn’t make you weak. If one of your friends is better at something like cooking, don’t be shy to ask for the favor. Not dressing up for the occasion is the main reason why moms don’t enjoy the holidays. Good clothes will not only make you look like others but they will also make you feel special and comfortable. Go ahead and complete the look with some accessories and makeup. If you like to get a little tipsy during the holidays, then plan ahead. Pump and store up before the party! Be the first to comment on "Naughty Mom Tips To Make This Holiday Season Different"